These necklaces made from old brooches and earrings are whimsical and romantic. The monochrome color palette makes them especially elegant. 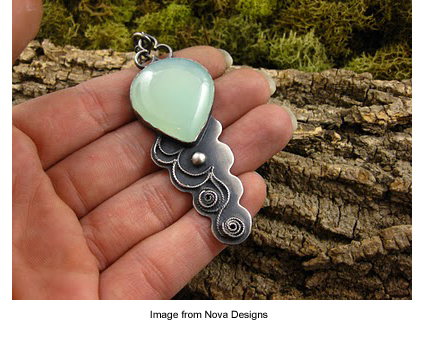 Take a look at the free tutorial from MarthaStewart.com and learn how to make one of your own. 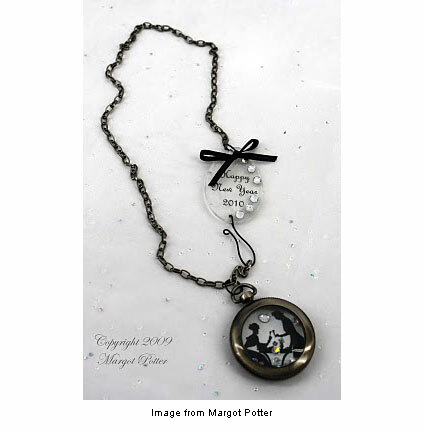 Take a look at Margot Potter’s tutorial for making her classic, elegant mixed media necklace called “As time goes by.” It’s perfect for New Year’s Eve! 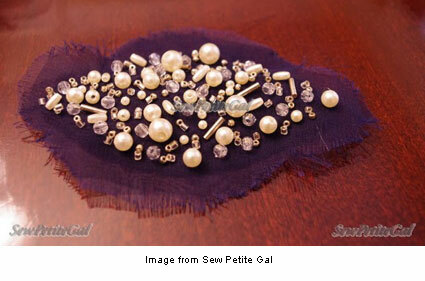 Check out this fun tutorial from Sew Petite Gal! Amber shares this easy, free tutorial on her blog Ruffles and Roses as a guest post from Sew Petite Gal. 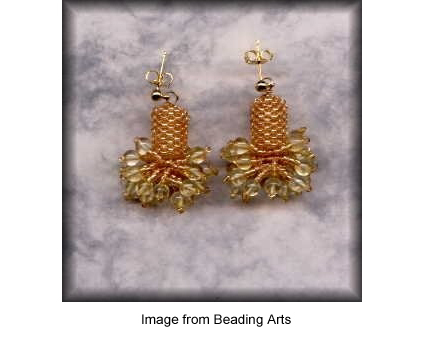 Beading Arts is offering a free tutorial for these lovely Pompom Delica earrings by Wendy Van Camp. 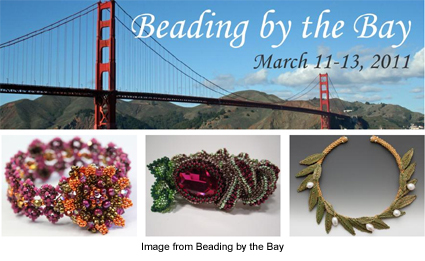 Learn how to make them and then learn more about Wendy at Beading Arts! Congratulations to Susan Smoaks! She is the winner of 500 Judaica. You can still enter for a chance at 3 more Lark books. The giveaway ends tomorrow! 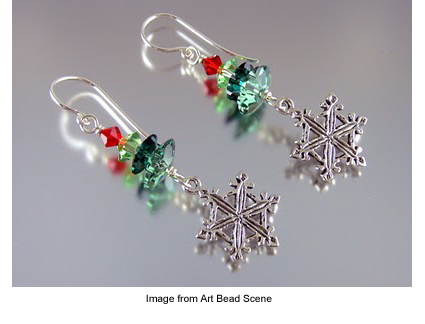 Lori Anderson offers a free tutorial at Art Bead Scene to make these lovely Christmas tree inspired earrings. 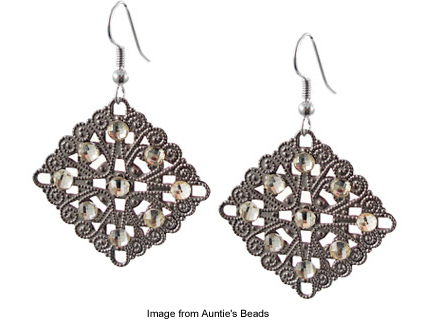 These earrings would make a wonderful handmade gift for someone special on your list! 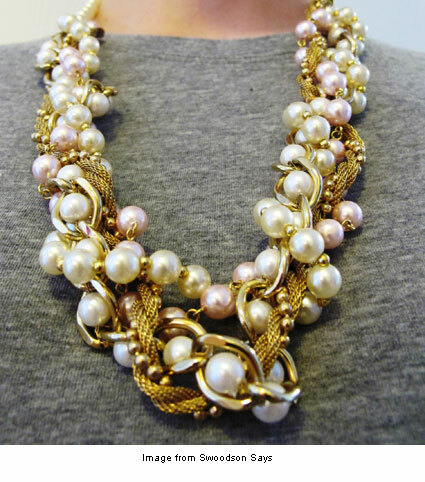 Swoodson Says shares a tutorial for upcycling thrift store jewelry into chic, modern necklaces like this one. 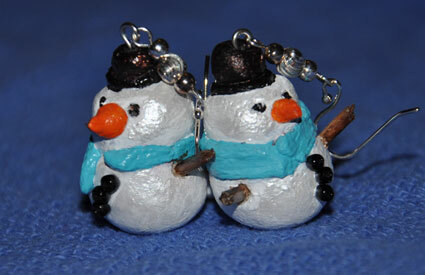 She also makes adornment for your favorite shoes. 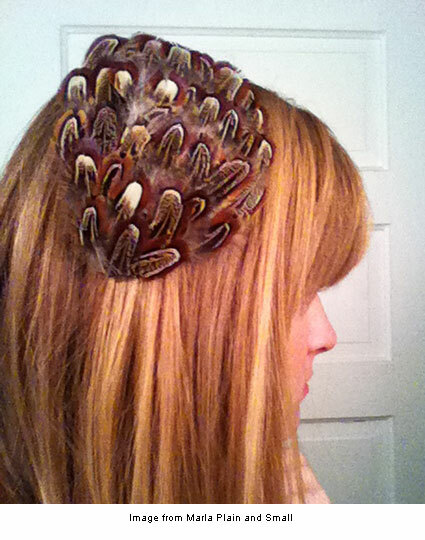 Take a look at her shoe clips on Etsy!